With voter turnout at more than 67 per cent, Russian president Vladimir Putin has been re-elected with an overwhelming majority in Sunday’s election. Putin won 76 per cent of the vote, with 99 per cent of ballots counted, Russia’s Central Election Commission reported. That’s an increase from his 62 per cent win in the 2012 election. Communist party candidate Pavel Grudinin came in second with only 11.82 per cent while hardline nationalist Vladimir Zhirinovsky won 5.7 per cent. 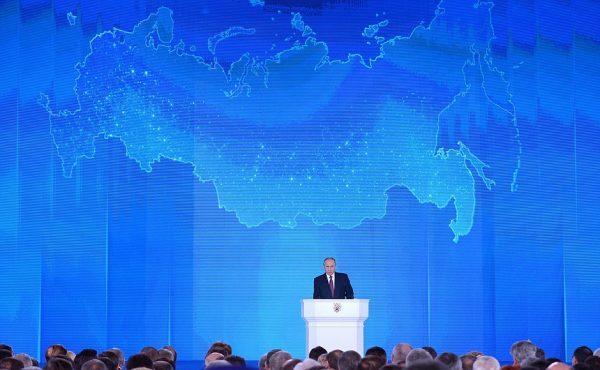 At a rally held in Moscow’s central Manezgnaya Square as the results were announced, Putin thanked his supporters and said the vote was a mandate that he has been on the right track; he pledged to do more for Russia. At least 73 million people voted at 96,704 polling stations throughout the country.